Beautifully glowing and expressive this abstract original oil painting on paper measuring 9" (22.86 cm) x 10 (25.4 cm)" titled "A Cactus Dreams" will bring immense warmth and life to any room it inhabits. 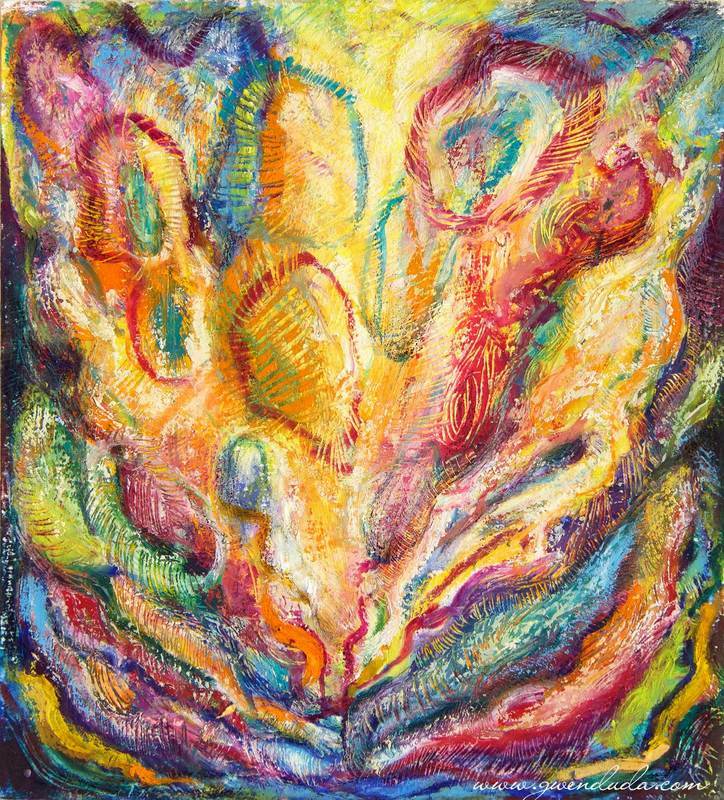 The painting is done in oil paint and employs some sgraffito technique where the pain is patiently scraped away to reveal the colours and contours underneath. There is one deckled edge at the top of the painting and it is signed in the bottom right hand corner.